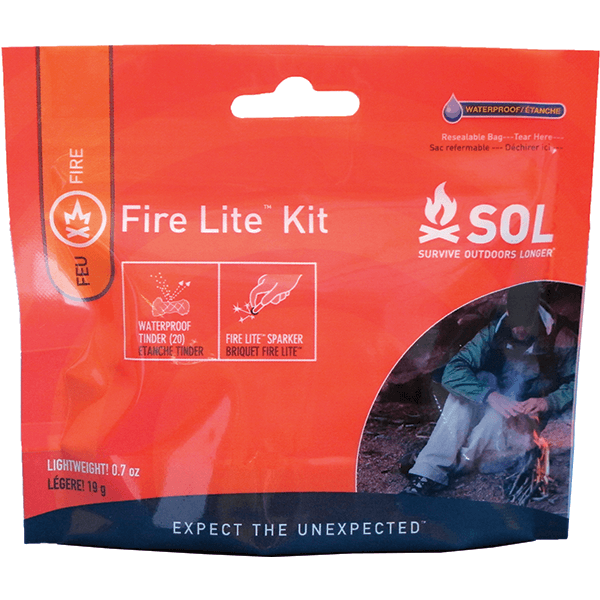 The Survive Outdoors Longer® Fire Lite™ Kit is the ultimate fire starter kit, ideal for everything from backpacking trips to survival situations. Minimalist and practical, this kit weighs only 0.2 oz. 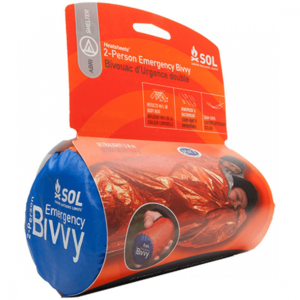 yet contains the essentials you need to start up to 20 fires in any weather conditions, all in a reusable DryFlex bag. Along with detailed fire starting instructions, the kit includes 20 pieces of Tinder Quik™. 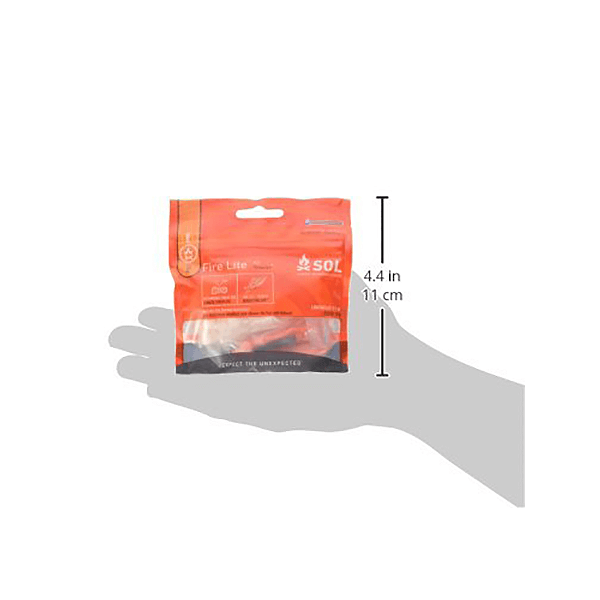 This waterproof and windproof tinder will burn for up to 3 minutes, even when wet, giving you plenty of time to build a fire. Ignite the Tinder Quik™ using the Survive Outdoors Longer® Fire Lite™ sparker, a one-handed striker tested to produce up to 5,000 sparks. 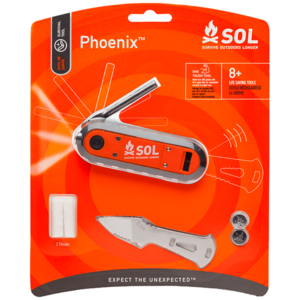 Compact yet comprehensive, the Fire Lite™ Kit makes starting a fire easier, whether you add it to your survival gear or pack it as your fire starter for backpacking and camping trips. 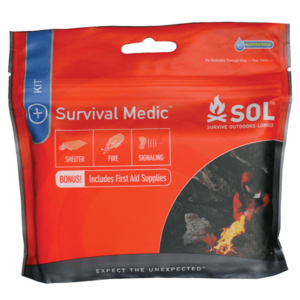 SKU: SOL0140-1230 Category: Survival Essentials Brands: SOL Survive Outdoors Longer. Produce a powerful shower of sparks with the windproof Fire Lite™ sparker, tested to produce up to 5,000 sparks and spark in any weather at any altitude. 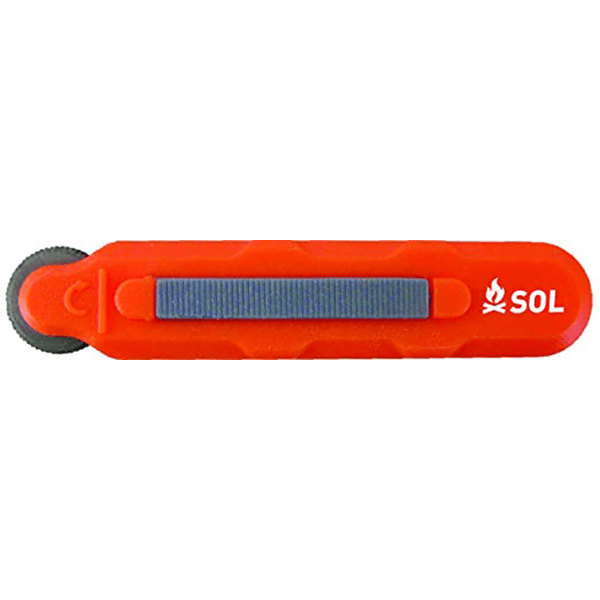 Ignite the Tinder Quik™ easily with a single spark from the one-handed Fire Lite™ sparker to quickly build a fire. 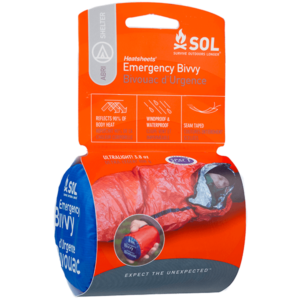 Build a fire even in fierce conditions with a windproof striker and tinder that easily lights and stays lit, even when wet. 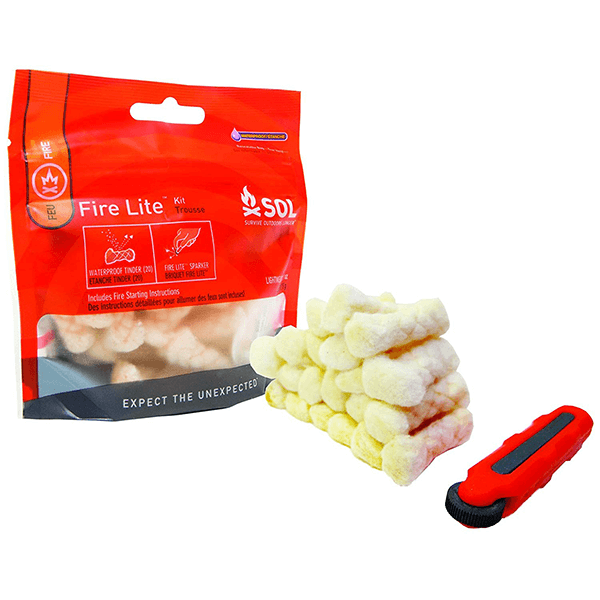 Fit the Fire Lite™ Kit in your pack every trip – the entire kit weighs only 0.2 oz. and fits in the palm of your hand. Follow comprehensive instructions for tips on the best techniques for choosing kindling, starting a fire, and safely monitoring the fire.